The Glasshouse is located in Woking, England. Make your next corporate event really stand out by holding it our new state-of-the-art Glasshouse. Accommodating up to 550 guests, The Glasshouse at Wisley can be booked for a variety of special events. The Glasshouse offers visitors wonderful views over the amphitheatre landscape garden, and the splendid lake. For those events where the weather really is glorious, guests can wander outside to enjoy the magnificent surroundings. 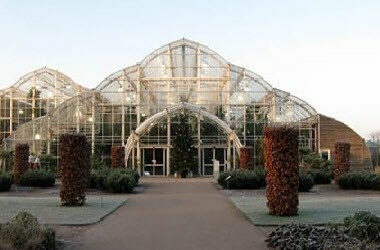 For any company or individual wanting to host a truly exclusive event, the Glasshouse at RHS Garden Wisley is the perfect venue.